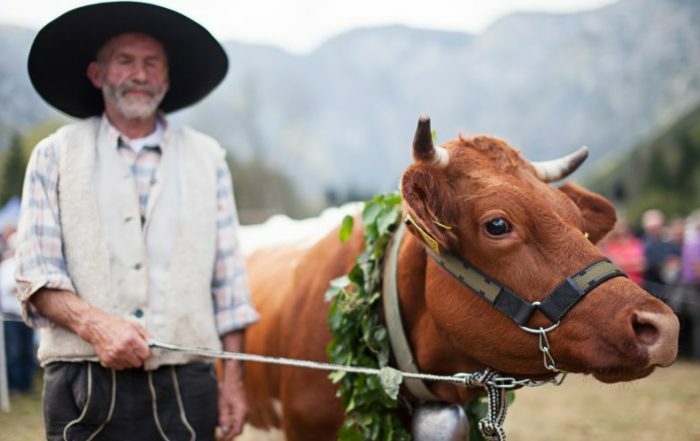 As a small country, Slovenia has a lot of traditional foods, that differ greatly from one another. You can buy Slovenian food and home-made products in a market place and in specialised stores. Such as, top quality cheeses and dairy products, cured meat products, excellent wines, and honey. As Slovenia has one of the most rich beekeeping traditions in the world. 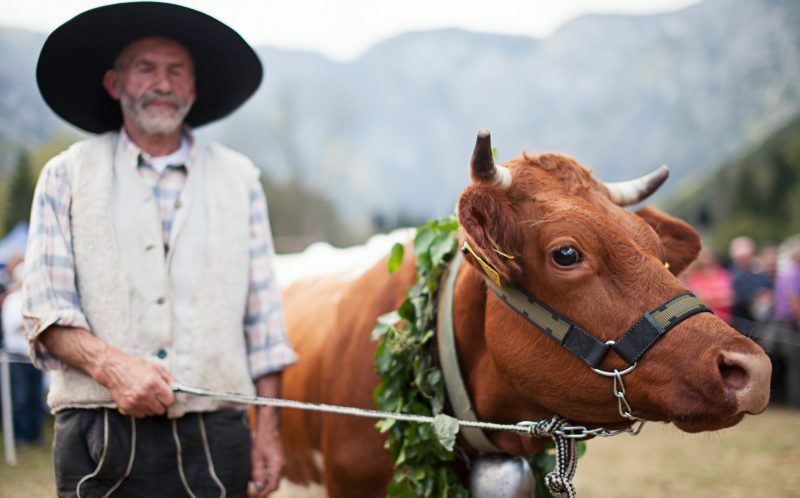 For starters, we introduce you to some of the well-known Slovenian foods. 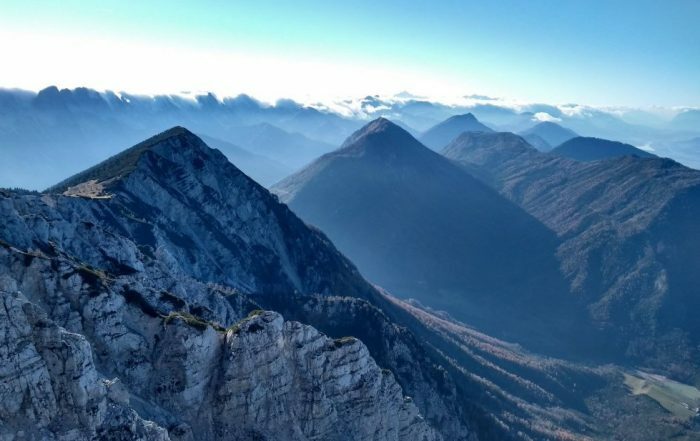 Carniolan sausage is the most known Slovenian food, which has been named »kranjska« for the first time in 1896 and has become protected in 2015. It originated in Gorenjska region, from where it has grown across the whole Slovenia. The storytellers of old Ljubljana consider it as an important part of the menu at ceremonial and important events. 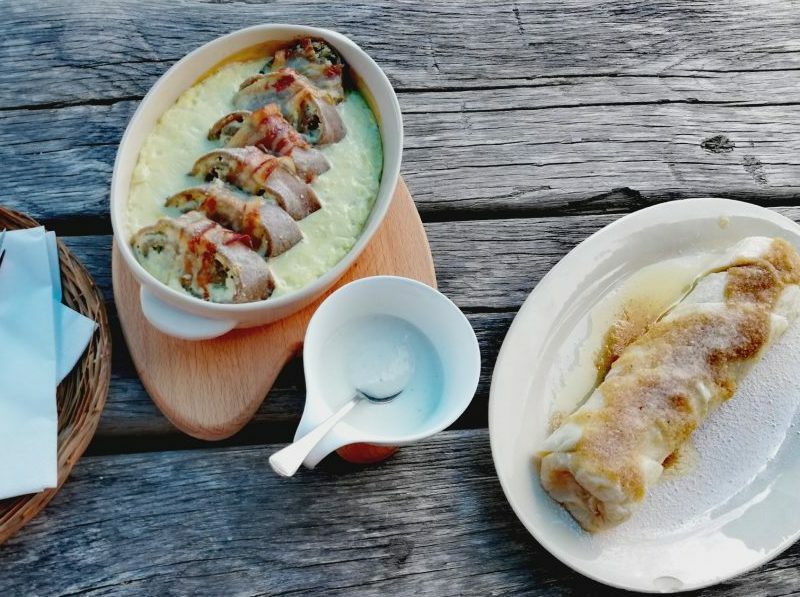 This protected Slovenian food is smoked and must contain at least 68% of pork, 12% of beef, and no more than 20% of bacon. Potica is the most typical Slovenian dessert made of dough and filled with various fillings. 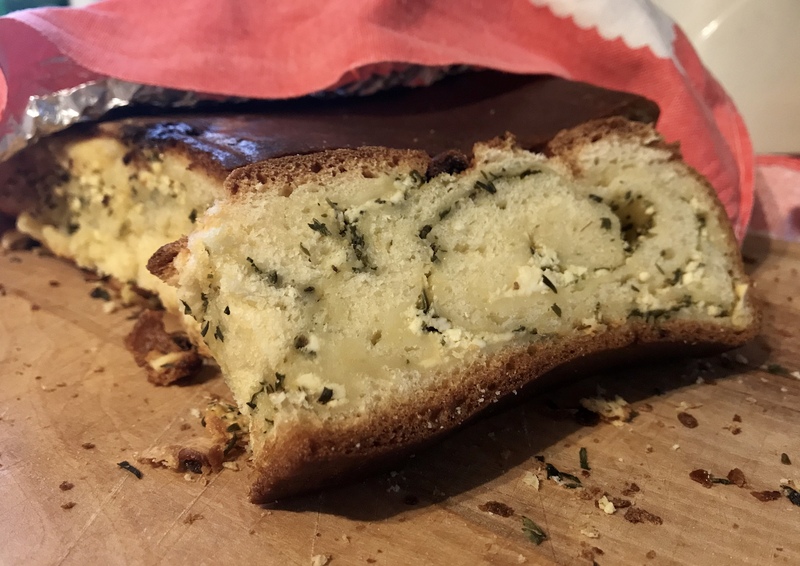 We know more than 80 different types of fillings, from which tarragon (»pehtranova«), walnut, cracknels (»ocvirki«) and poppy seeds are most famous. Prekmurian layer cake is a juicy dessert, stuffed with poppy seeds, cottage cheese, walnuts and apples. 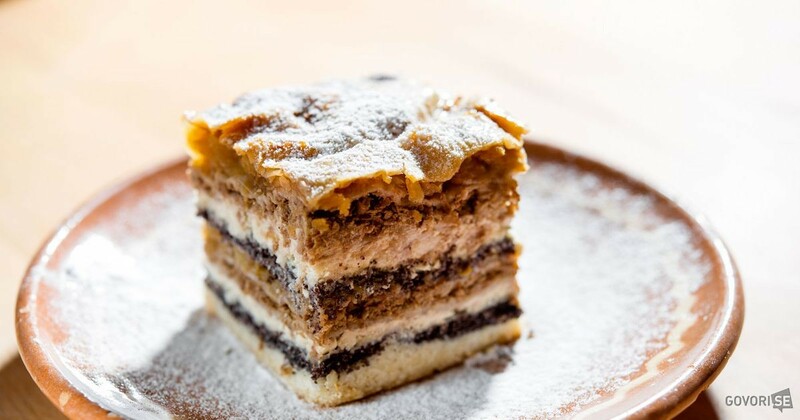 The funny literal translation of this Slovenian food is actually “Over-Mura Moving Cake” but the popular translation is just Prekmurian Layer Cake. It is also protected by the “Recognised trademark of traditional reputation”, so it can only be manufactured under this name after the original recipe. 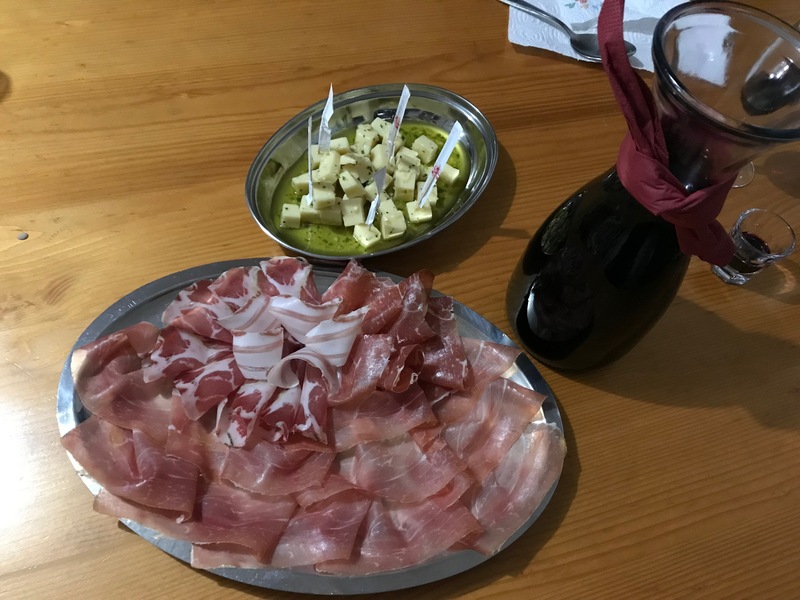 Another very famous Slovenian food is the Karst Prosciutto. Prosciutto is a top product of the centuries-old tradition of salting and drying meat on the Karst bora. It is on the air-dried pork thigh, that goes well with a glass of Teran or red Karst. Štruklji is another traditional Slovenian food made from a dough and filled with variety of fillings. They can be eaten as an individual dish or a side dish. They can be prepared from different types of dough, baked or cooked, salty or sweet. The best known Štruklji are made of cottage cheese, tarragon (»pehtranovi«), walnuts, apple or poppy seeds. 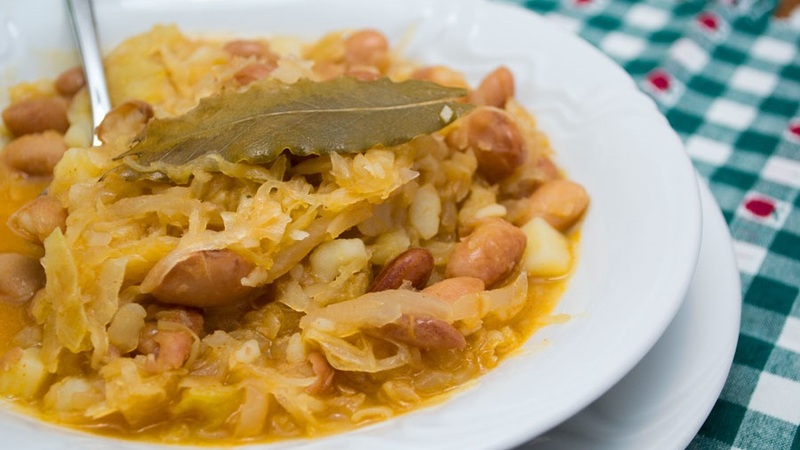 Žganci is one of the simplest and most popular Slovenian food. Especially those made from buckwheat flour and richly dressed with cracknels. 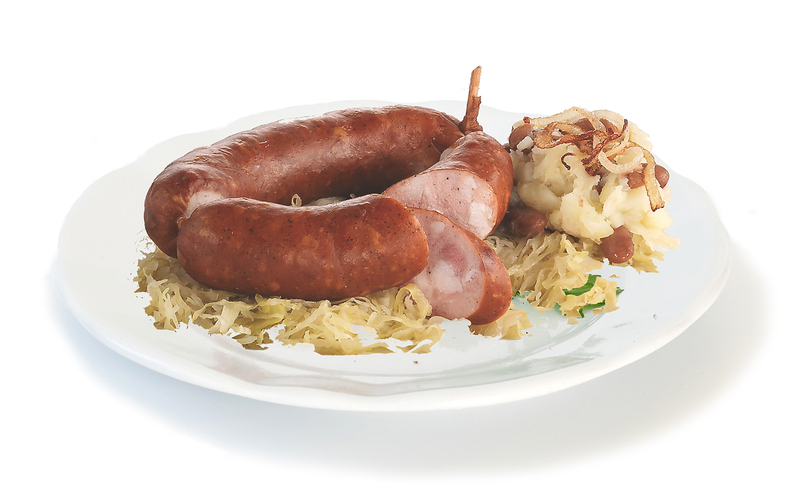 These are also considered a typical Slovenian farm dish. 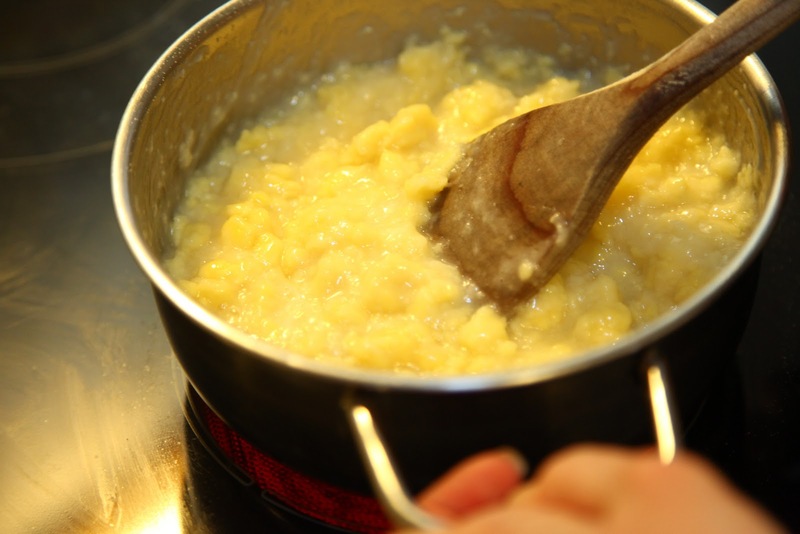 However, if you leave out the cracknels, you get a very healthy dish that goes especially well with sour milk, mushroom soup, cabbage or a chicken stew. Our grandmothers loved to cook Jota. As there were fewer foods in the winter the housewives had to be quite clever with the use of the ingredients. Turnip, cabbage, potatoes and beans were very common residents of the home cellar, as they could be prepared in many ways. That is why today Jota is available practically in any mountain cottage and can be saved in a freezer for many days. Močnik is an old Slovenian food that originated in the Lower Carniola (Dolenjska) kitchen. They made it from various types of flour. Most popular Močniks’ are milk, buckwheat and corn. In some places, they also stir them into a clear soup. 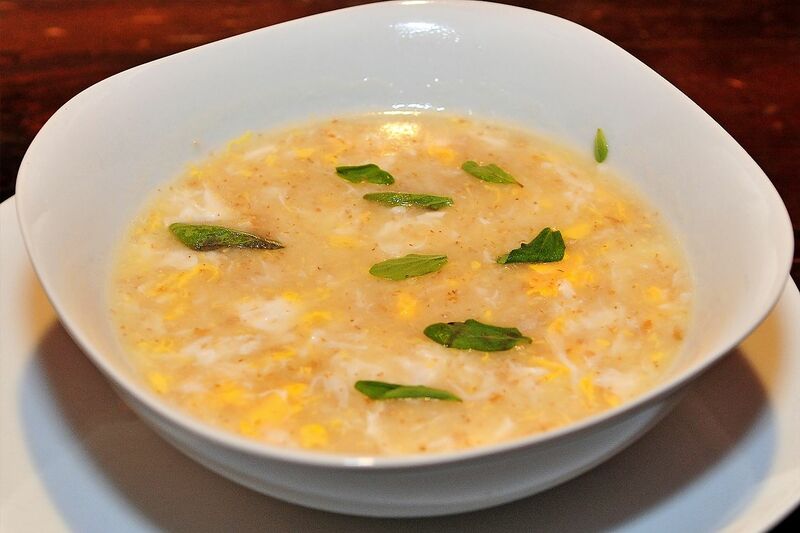 Prežganka is a soup, made by roasting and browning the flour, adding the water and salt, and once it boils, a scrambled egg is added. It is a typical dish of Trieste countryside. 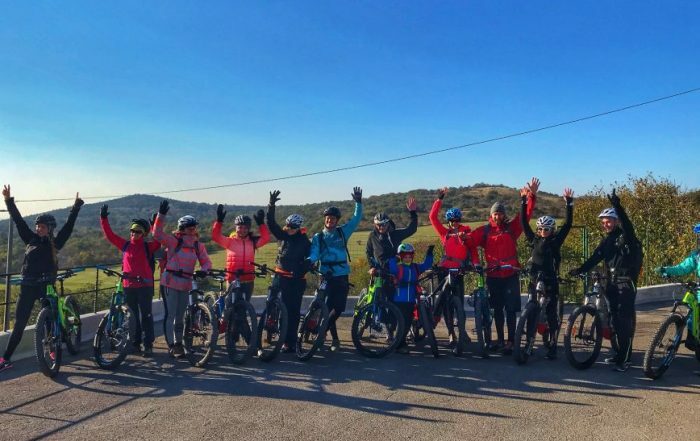 However, they also make it across the whole Slovenia as a dietary supplements for digestive disorders. 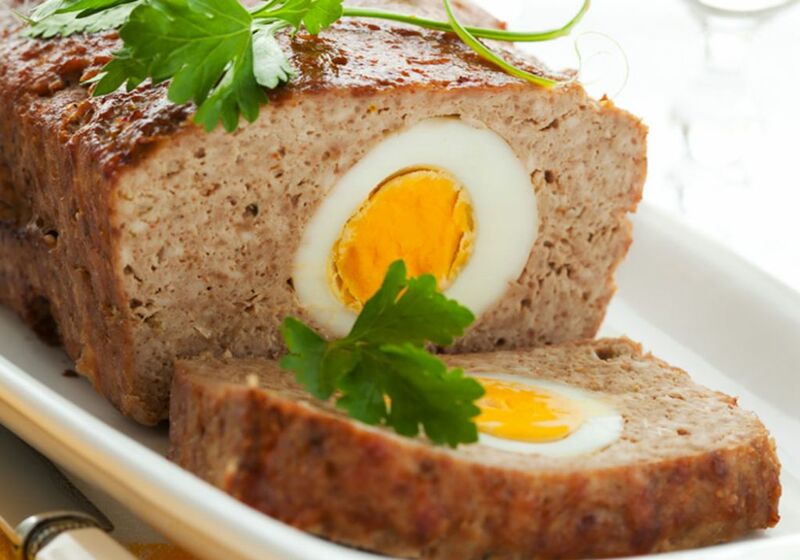 Štefani pečenka is a meat loaf with hard boiled eggs, that is very easy to make. It is a classical Slovenian food and especially welcomed during certain holidays (e.g. Easter Holidays).